The Chennai Super Kings have got off to a very good start winning both their games comfortably. They have managed to take the games deeper than it should have on both occasions, having said that they are a team who know how to win and they are on a role. The Rajasthan Royals on the other hand, have lost both their games and are desperately looking to get off the mark. In their first game, they lost it after having the game in the bag for most of the match. Even in their second encounter, they put up a big score and were not able to defend it. They will want to find a way to win and shift momentum. Out of the 20 matches played between the two teams, the Chennai Super Kings have won 12 matches. At Chennai, their winning ratio increases as they have won 5 out of the 6 games against the Rajasthan Royals. Suresh Raina, for the Chennai Super Kings, has always been a consistent performer. He looked very good in during his brief stay at the crease against the Delhi Capitals scoring 30 off 16 balls on a tough pitch and will be looking to continue that form going into this match. Ajinkya Rahane, for the Rajasthan Royals, will have to show the way on a tough pitch against quality spinners. He played very well against the Sunrisers scoring 70 from 49 and will look to lead from the front in this game. The pitch at Chennai in the first game was a shocker but is expected to play better this time after all the criticism. It will still assist the spinners but have to wait and see how much turn it takes. The Chennai Super Kings will start as favorites given the kind of team they have and the conditions that will be on offer. The Rajasthan Royals have to pull of something incredible to win this game and will need a special effort from the team as a whole. 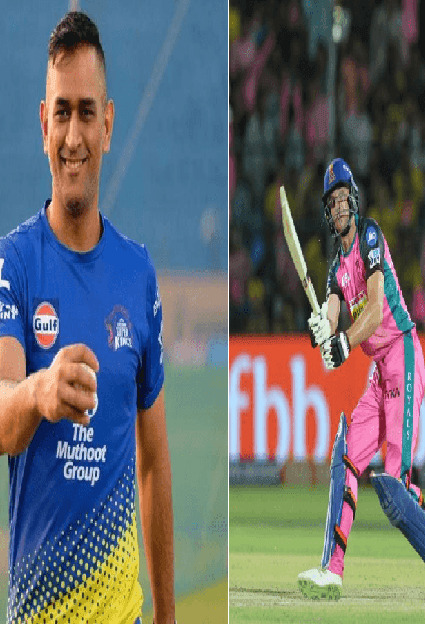 The Chennai Super Kings will look to strangle the opposition batsman with spin against a top order who are not really the best players of spin going around. The Rajasthan Royals will look at posting a par score on the board which might be enough against the Super Kings who normally start slow in the power plays and hence can use spin to slow down the scoring rate in the middle overs.